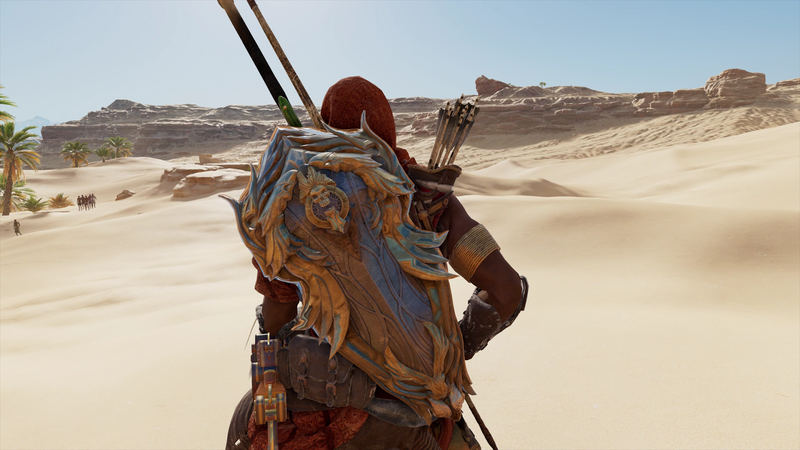 A few weeks ago, the makers of Assassin's Creed Origins teased a screenshot of yellow feathers, and now players who embark on a new quest in Ubisoft's sprawling ancient Egyptian adventure will find some Final Fantasy in the game. It features some of the odder use of Chocobos in gaming history. 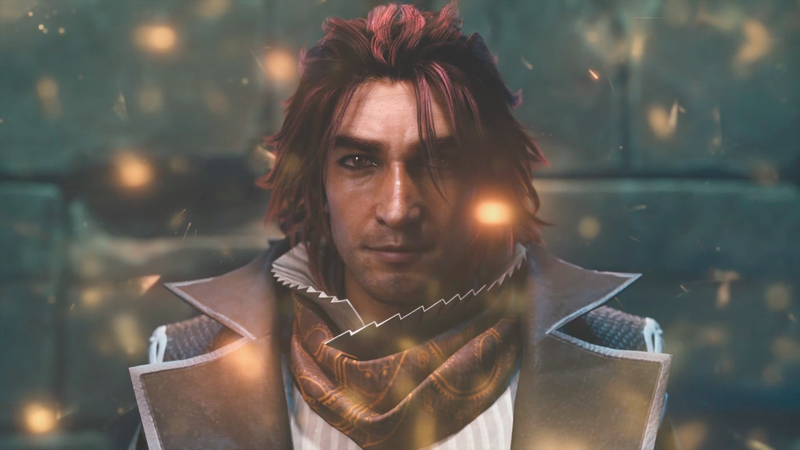 The franchise crossover between Ubisoft's Assassin's Creed and Square Enix's Final Fantasy was announced in August. It showed up in Final Fantasy XV in the form of an elaborate, interactive Assassin's Festival that will end on January 31. Now, a couple of months after it launched, Assassin's Creed Origins gets its FFXV stuff in the form of a very short, easy quest that has some neat unlocks. 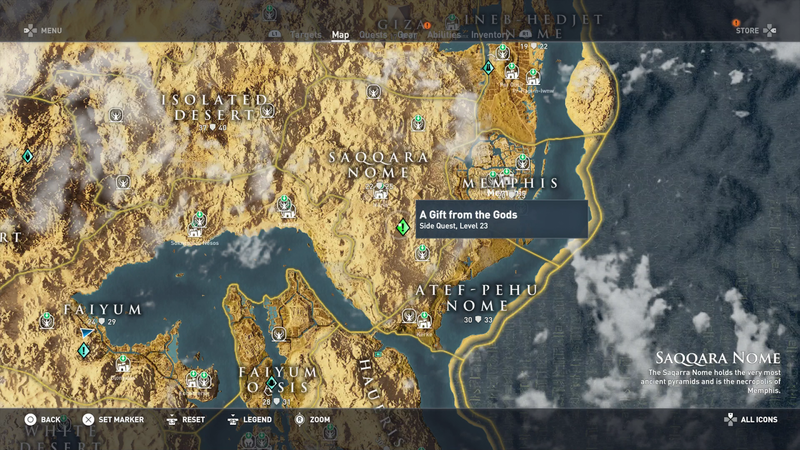 To access the FFXV addition to Origins, players should look on the world map for a green icon marking a level 23 quest called A Gift From The Gods. Spoiler warning: Don't watch the video above — and definitely don't scroll down past this map shot — if you don't want to see the FFXV cameos that are part of the quest. The quest is short. There's no combat and just one puzzle. There is a cool cutscene that appears to show FFXV antagonist Ardyn Izunia briefly being pulled into Origins' world before getting spirited away by the summoned creature Bahamut. Your rewards for doing the quest are a legendary shield, sword and mount. Some of them may look familiar. 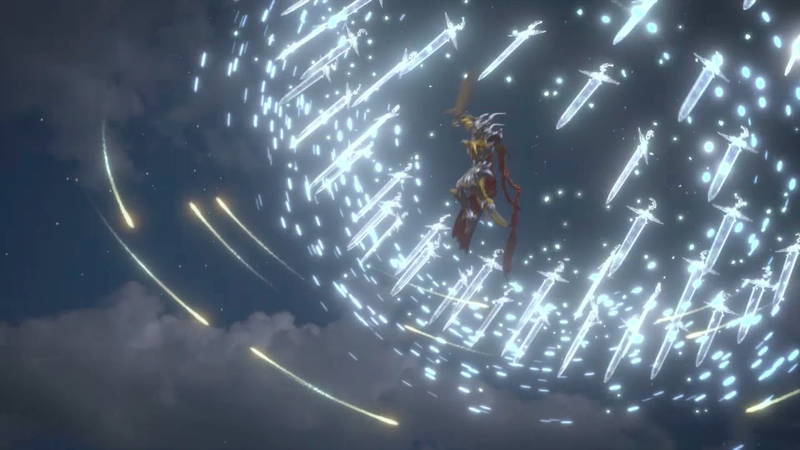 The shield is called Ziedrich, which is a long-featured item in Final Fantasy lore and shows up in FFXV. You also get an Ultima Blade and a camel-like Chocobo called Kweh. Some would say that Chocobos shouldn't look like camels. Others might even say that it's weird to have these two mega-franchises crossing over. It's actually not that odd. Final Fantasy is a series known for having protagonists who have dad issues. Assassin's Creed Origins is a game whose protagonist is a dad who has issues. It's a natural fit. But has there been fun put into AC:O yet??? 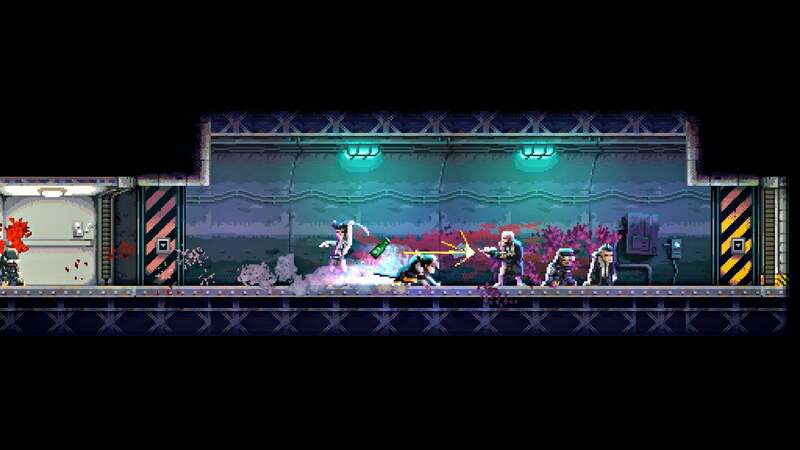 I'm kinda liking it as a peaceful go-around-and-do-stuff game. But like most Ubisoft games, it does feel like it was designed by people who think Christmas sweaters are cool. I recently reinstalled AC:Syndicate, it's actually surprising how much fun that game is in contrast to Origins. I didn't give Syndicate much of a crack when it was released. Now I am, and the difference is amazing. You should definitely get the season pass, Jack the Ripper DLC is amazing! None of the AC games even approach fun imo. But then again I’m a Ubisoft hater. Games designed by suits in boardroom. All of them. All triple A games are, that's pretty much exactly how they come to be. Looking forward to going home and unlocking this stuff. 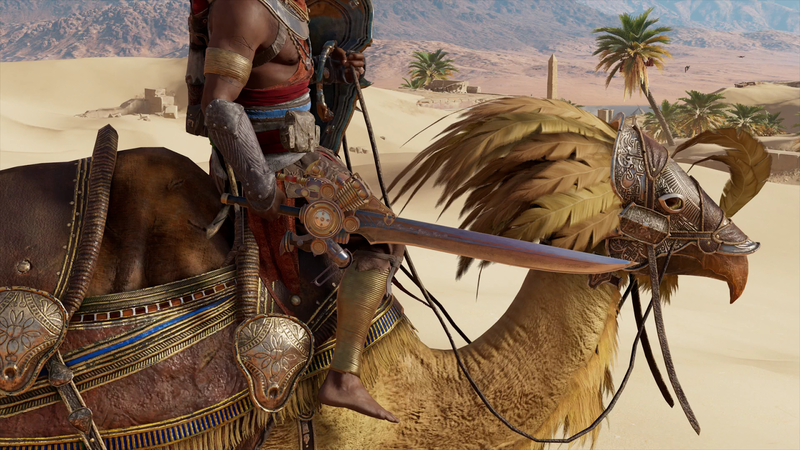 Looks like Squeenix went a little more all out with their AC Origins promotion in XV though. Cover picture ''riding the Chocobo!"